Technologies core to the Tarmac’s performance, Rider-First Engineering and Wintunnel Engineered, are “invisible” to consumers as they are manufacturing techniques. focus on a visual representation of how each process adds value during the manufacturing process. Create visual displays that supplement retail sales people during conversations with clients. Create consistency between web and retail displays. 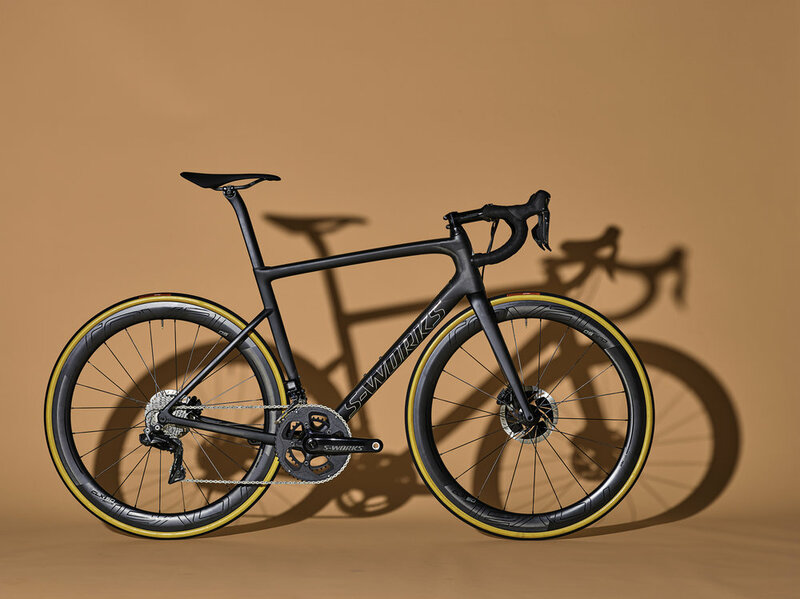 Rider-First Engineering: Simply put, Rider-First Engineering is Specialized’s development process for ensuring that each individual size of bicycles provides the same user experience. Since the bicycle’s frame size can easily change the stiffness and handling characteristics, achieving a uniform experience for all riders is a real challenge that needs to be addressed. 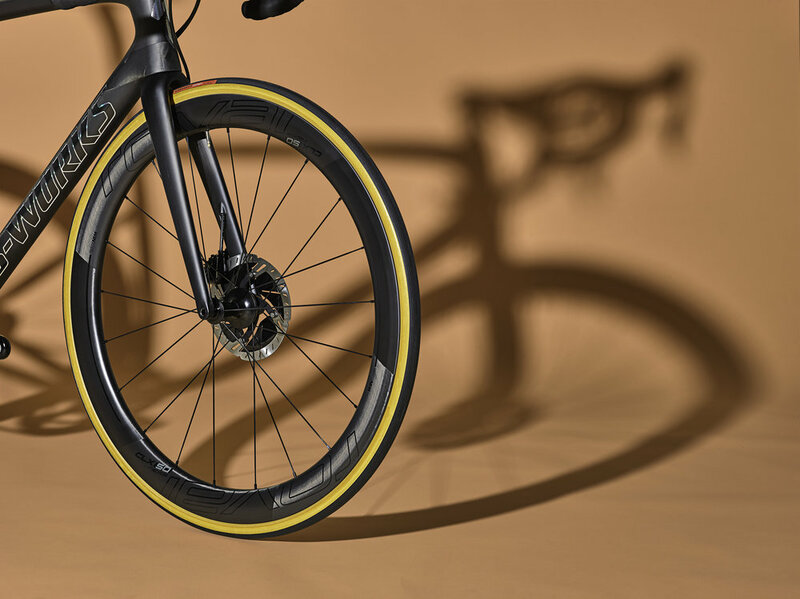 To do this, Specialized’s engineers have developed a series of lab and real-world tests that measure feedback to the rider at various points on the bike. Each of the 7 frame sizes is then tested and its carbon fiber layup adjusted until all products hit the same standard for performance. 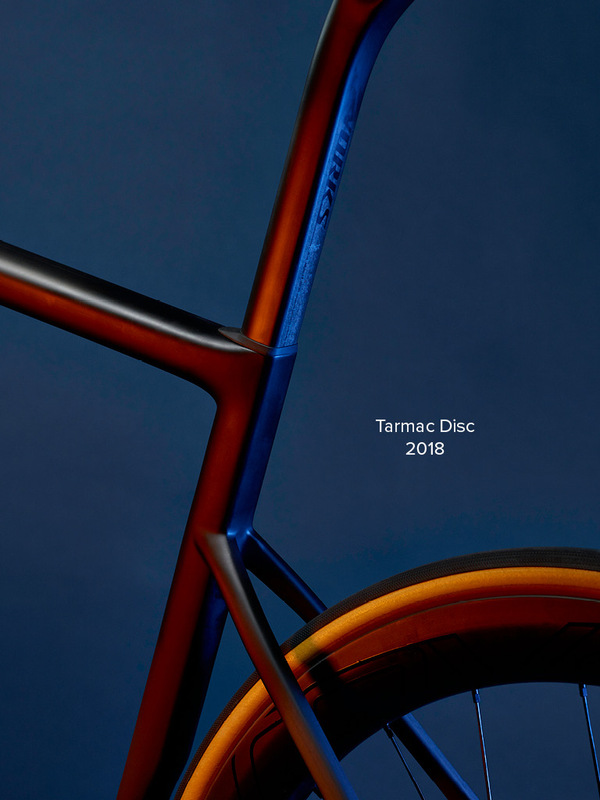 We focused on explaining the differences between between small and large bicycles and showed the different approach needed to achieve the same performance in each bike’s layup. For example, a small bike’s bottom bracket may only need 2 pieces of carbon fiber to stiffen the frame for pedaling efficiency while a large bike actually uses 14 unique pieces throughout the bottom bracket area to achieve the same result. 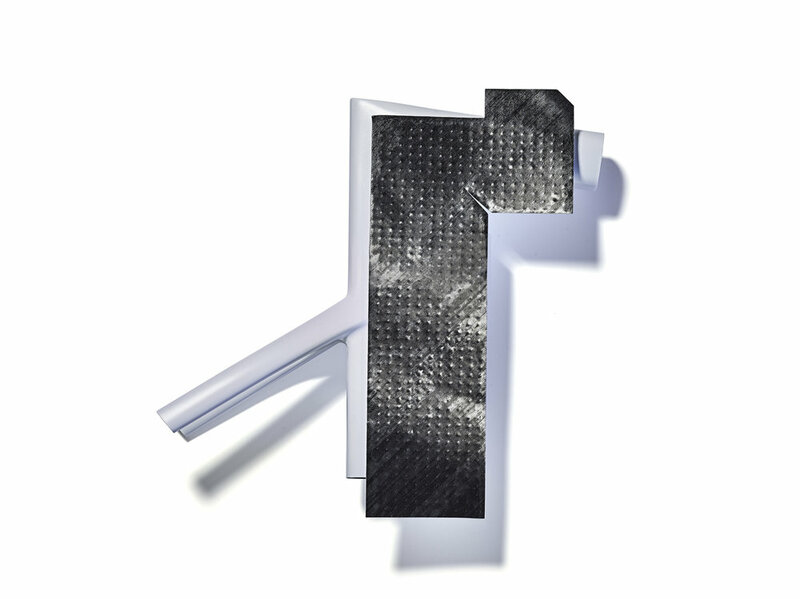 We highlighted the real carbon fiber pieces placed against the location where they would live on the frame and worked to explain the reason for each adjustment. WinTunnel Engineered: Next, we needed to highlight the development work and resulting aerodynamic prowess of the Tarmac. 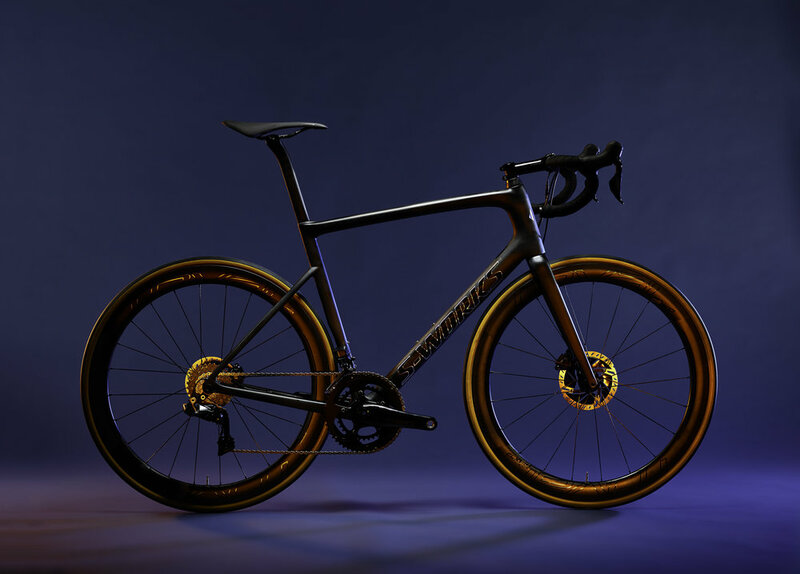 Specialized engineers have adjusted each part of the bicycles frame to interact more efficiently with the wind passing over it thus making the bike measurable faster to the competitive consumer. Aerodynamics are tough… you cant see the wind so how do you know what is actually happening? Likewise, a BIG difference for cyclists is measured as a few seconds of time saved over 25miles of riding so a product that performs much better might be difficult for the user to discern right away. This is totally and inches not miles situation. 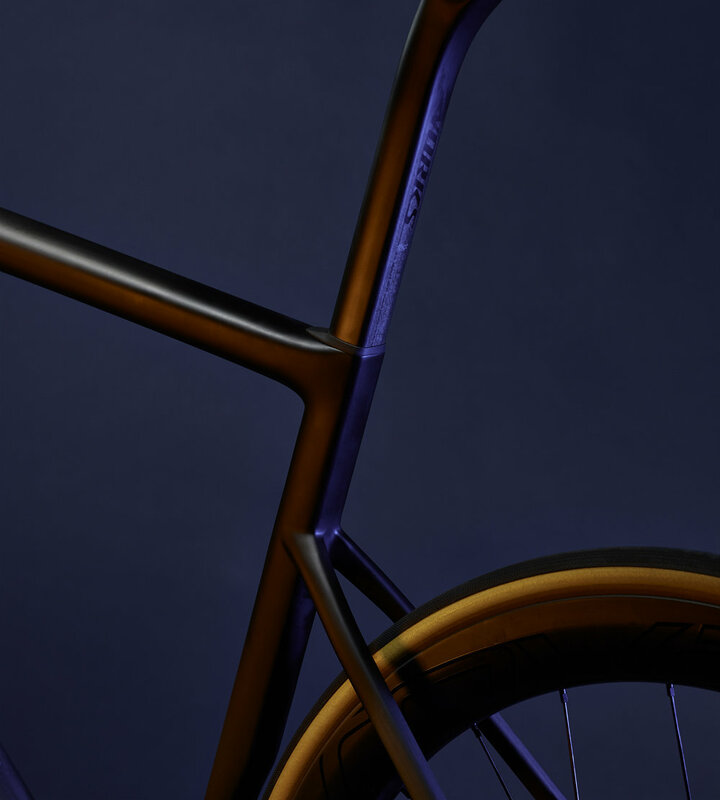 To highlight the aerodynamic tuning we focused on telling the story of a horizontal line drawn front to back on the bicycles frame cutting it in half through the forks, downtube, seattube, and chainstays. Providing a view of the unique shapes in each of these areas we worked to explain why they were unique and how they interact with the rest of the bicycle to improve the entire system’s aerodynamics. This provided a visual way to communicate the radical shapes featured in the bike. the above waterline highlights the placement and shape of cross sections of the Tarmac’s aerodynamic shapes. In print, the ad directs customers back to the Specialized.com experience where each area is explained in more detail. It may seem technical… but when building value on the sales floor, these fixtures act as a easy cheat sheet for salespeople to walk their clients through the unique technology of each bike.